I constantly see people on various forums, Twitter, Telegram, and Discord complaining about how they are locked out of their 2FA enabled account because they lost or bricked their phone. 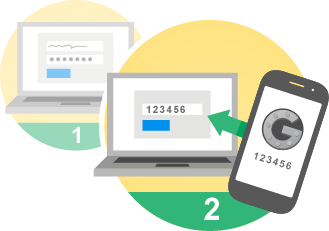 2FA stands for 2-Factor Authentication. 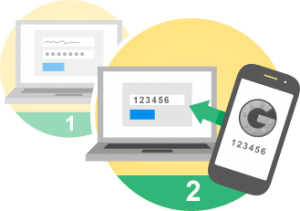 One method of 2FA allows you to input a time-based code in addition to your password, via Google Authenticator or similar app. When you lose your 2FA code, you will be locked out of your account. You will then have to open a ticket and then establish your identity with the platform. This is particularly difficult on crypto related platforms with no KYC (know your customer requirement). The process can also take a long time, sometimes weeks and months. Rather than make yourself a victim, there are a number of strategies you can use to eliminate your reliance on a platform to restore your access. -Encrypt your phone and use a difficult passphrase. This first step relieves some pressure on you to immediately change your 2FA should something go wrong. It will buy you some time to log in with a backup and change to a new 2FA seed. To be safe, assume the codes on a lost phone will be compromised. Note: if you are printing sensitive information, you should always check the specs on your printer to verify if it has a hard disk or NVRAM. In either case: if the printer settings do not allow you to wipe this memory, you might want to consider physical destruction or removal of the internal storage device if you decide to get rid of your printer. If you can’t handle any downtime associated with an out of commision phone, consider keeping a backup phone. When creating any new accounts or enabling 2FA, scan the QR code with the backup phone at the same time you scan with your primary phone. Keep this backup phone in a secure location. Your backup phone doesn’t have to be anything special. I didn’t bother to buy a sim card for mine, and just use WiFi. I also set it up to use a VPN. You could potentially also use this phone to backup any mobile crypto wallets. Just download the wallet software, and import your seed. For this purpose I bought an unlocked Motorola Moto E(4th Gen). It supports both encryption and passcode protection. It also has a removable battery. You can utilize this backup phone to provide you temporary access to create a new 2FA key, and/or until you order a new higher-end primary phone. Previous IRONKEY D300 Review: Why I chose this hardware encrypted thumb drive. Next Americans with Significant Foreign Crypto Exchange Holdings, Don’t Get Blindsided!